Attack of the Friday Monsters! 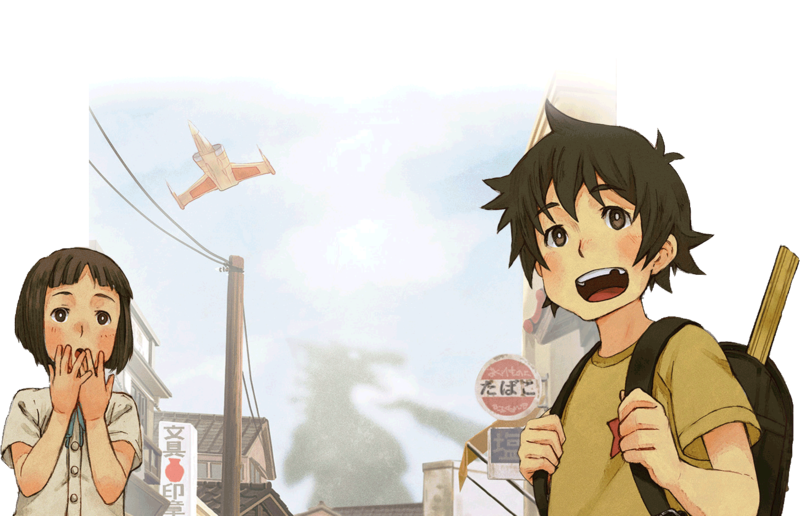 A Tokyo Tale, an adventure game for the Nintendo 3DS, allows players to wander through an unremarkable Tokyo suburb in the 1970s and to see it transformed, through the eyes of a young boy named Sohta, into a playground for cataclysmic battles between enormous monsters, aliens and titanic heroes. The game plays on quaint nostalgia and fuzzy memories of the fruits of a wild imagination to remind us all of the immense power of pretend. New to the city, Sohta wants to make friends and fit in. But his ambition is to become a junior member of the Space Defense Department, to help the heroes he watches on TV to protect Earth against the extraterrestrial menace. To his delight, his favourite heroes vs monsters TV show is filmed right there in his local suburb. Even better, his new friends share his enthusiasm and introduce him to a monster-battling card game (which forms the bulk of the actual “gameplay”). So far, so normal. But Sohta’s new friends claim to have seen real monsters on the edge of town (always on Fridays). Clues start mounting up. There’s toxic waste from a nearby industrial plant; a smoking crater where a meteorite struck; enormous footprints dotted around; and reports from children who claim to have seen or heard the monsters. Suddenly, the invasion threatens to be all-too-real and Sohta takes seriously his mission to defend Earth. And yet, as quickly as the evidence entangles Sohta it unravels. Sometimes an industrial plant is just an industrial plant, and a meteorite crater is just what it appears to be. Monster footprints look suspiciously like they were dug with a shovel and the monsters’ roars can be easily emulated by a voice echoing through a sewer pipe. 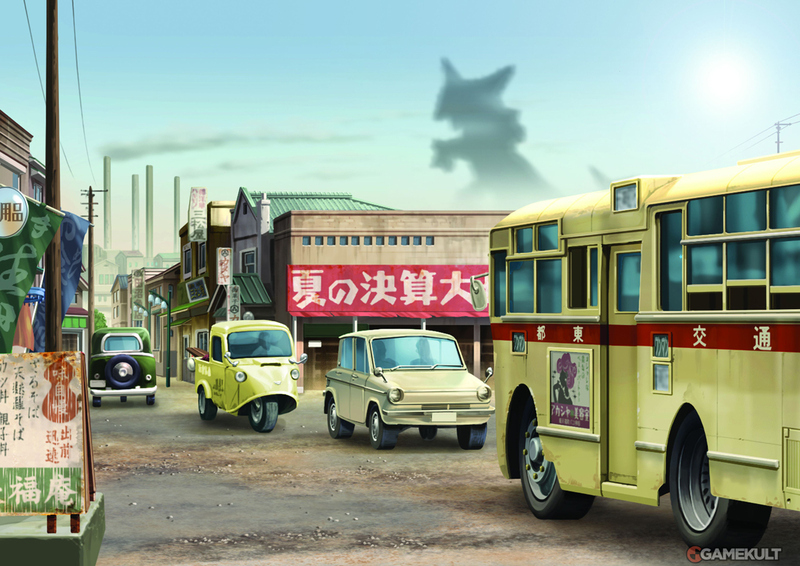 Hazy visions of battling monsters are special effects manipulated by the local TV studio for their weekly production. Sohta is unfazed by these revelations. And towards the end of this Tokyo tale, his faith is rewarded as he is drawn into what appears to be an actual honest-to-goodness fight between a towering alien robot and a heroic mech piloted by Sohta’s own father. Sohta gets to experience just what he’d wanted all along! Or does he? The game is deliberately ambiguous on what Sohta perceives to be real. It’s up to the player to decide what they believe happened, but we know that Sohta is only a child, he desperately wants to be involved in a battle between monsters and heroes, his favourite monster TV show has been manipulating his surroundings, and he has been immersed in a monster-battling card game with all his friends. The events shown are so fantastical, and Sohta so impressionable. But still, the game works some magic on the player. You play as Sohta, and you see the world through his eyes and understand it at his level. Through the use of player-agency in Sohta’s life, the game aligns your will with Sohta’s will. You, the player, want the monster-hero battle to be real, just as Sohta does. Sohta might have been pretending all along. But through playing the game, you have also been pretending with Sohta and for Sohta. 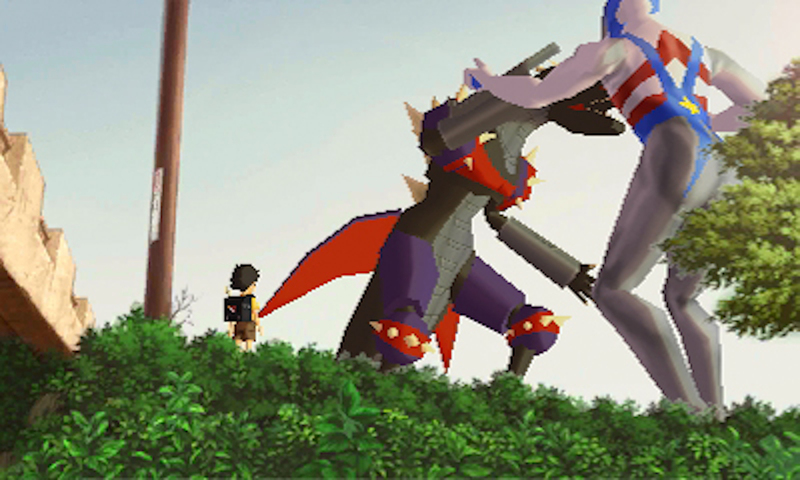 Attack of the Friday Monsters neatly engages the player’s imagination to support its protagonist’s own imagination, like an inverse breaking of the fourth wall. As the game twists the real into the virtual, it forces questions about who gets to decide what’s real and whether children or adults are the bigger pretenders. Then it allows all of that to fall away and begs you to enjoy a huge fight between an alien and your dad in a giant combat suit. And who wouldn’t want that?